Konftel Conference Phones – SoundStation Replacement! Konftel is a European manufacturer of conference phones. 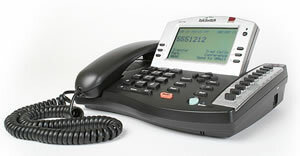 They’ve got a very innovative line of quality conference phones and Telephone Magic is pleased to be featuring them now. The Konftel KT100 model is a model designed to fill the void left when Polycom discontinued the SoundStation conference phone. Good looking and reasonably priced, this is a solid performer that you should consider when looking to acquire a new or replacement conference phone. Other Konftel models feature Bluetooth connectivity to computers, cellphones etc. giving them unparalleled flexibility in connection options. 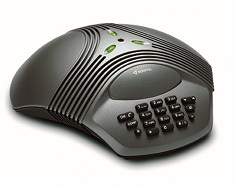 Check out the Konftel line of conference phones on TelephoneMagic.com today! This entry was posted in Uncategorized on December 15, 2005 by jjackson. The TalkSwitch VoIP-capable PBX is a great unit for small businesses as well as companies with multiple locations looking to cut down on long distance costs. TalkSwitch has just released their much-awaited TS600 business phone – a great model which will look great on any executive’s desk. Even “the Donald’s”. Have a look today at the innovative TalkSwitch system. It’s packed with features and very reasonably priced. For those of who’ve been considering an EnGenius long range cordless phone, just wanted to let you know the SN-920 and EP-490 long range phones have been discontinued and replaced by the DuraFon 1X and DuraFon 4X models, respectively. Yes, somewhat old news, but we get a lot of requests for the SN-920 and EP-490 so obviously people are still looking for them. Have a look at our revised long range cordless phone page for information on these new EnGenius models.